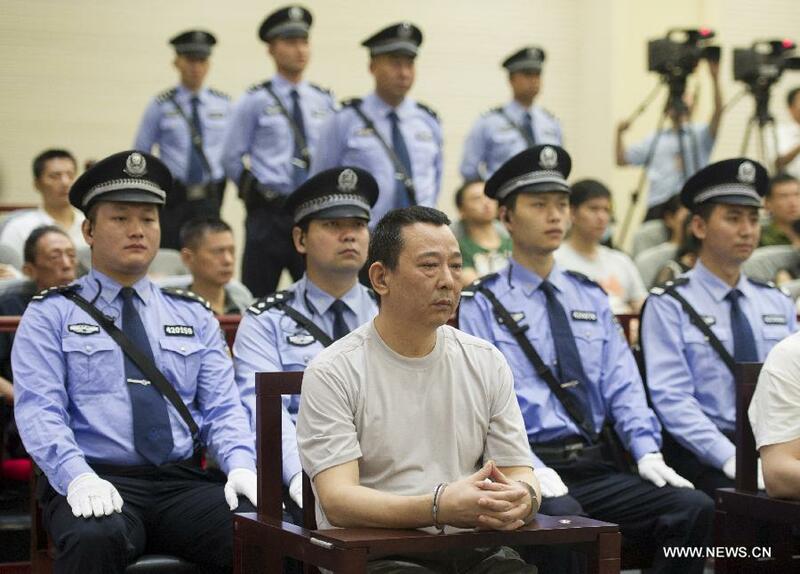 JNN 10 Aug 2014 XIANNING, Hubei — A court in central China’s Hubei Province on Thursday rejected the appeal of former Business tycoon in the Mining Industry Liu Han, who was sentenced to death in May. Liu Han, his brother Liu Wei and 34 other defendants were convicted of organizing, leading or participating in a mafia-style gang as well as murder in May. Both Liu brothers and three other defendants were sentenced to death. Another five were sentenced to death with a two-year reprieve, four to life imprisonment and 22 to imprisonment of different terms. The death sentence will still have to be reviewed by China’s Supreme People’s Court (SPC). Liu Han was board chairman of the Hanlong Group, the biggest private enterprise in southwest China’s Sichuan Province. He owned subsidiary companies in the electricity, energy, finance, mining, real estate and securities industries. According to court verdicts after the first trial, the group led by the Liu brothers was identified as a criminal organization as it had an established hierarchy and regular members and profited from criminal activities. The organization, which was harbored and indulged by government officials, illegally monopolized the gaming business in Guanghan City in Sichuan, tyrannized local people and seriously harmed the local economic and social order. The 36 defendants were prosecuted in seven trials, the last of which ended on April 19. 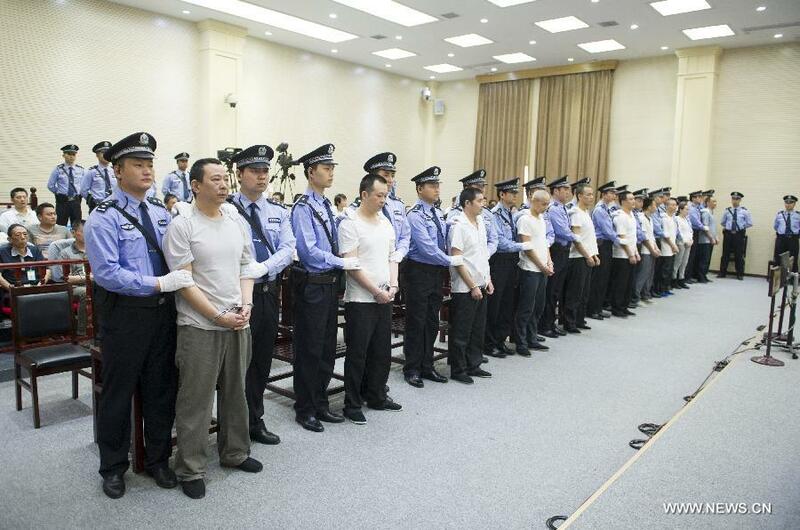 It was the largest criminal group of its kind to go on trial in China in recent years. Defendants in five of the seven trials appealed, but only the Liu brothers’ appeal was heard publicly. China which has become the 2nd Biggest Economy of the World , and in a couple of years will be the Largest Economy of the World , as its Growth Rate is still in Double figures , when Most of the Industrialized Nations Growth Shows Negative Trend . It Has Proven that the Basic Rule of Success is to enforce the Law equally for all the sections of Society , regardless of their affiliations and connections , or even their Size , And Justice Should be done equally for all the Citizens without any Exception , while the Crime Needs to be Punished , and there is no Clemency for any Criminal , Regardless of their Strength , Power or Economic Value , and the Nature of Crime May what so ever be , whether Criminal , Financial , Social or Terrorism , but the Only Rule which Keeps the system Running is that Crime has to be Punished , without any Delay . This entry was posted in Asia Pacific, Jafria and tagged China, Chinese Business Tycoon, Chinese Court, Criminal, defendants, Hubei Province, Liu Wei, Mafia Boss, Mining Industry Liu Han, Sentence Death, Supreme People's Court. Bookmark the permalink.